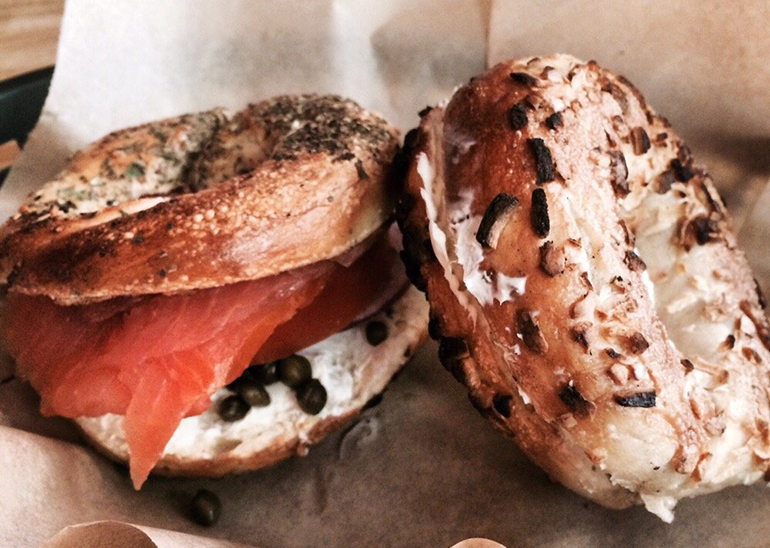 As if you need an excuse for your daily bagel. 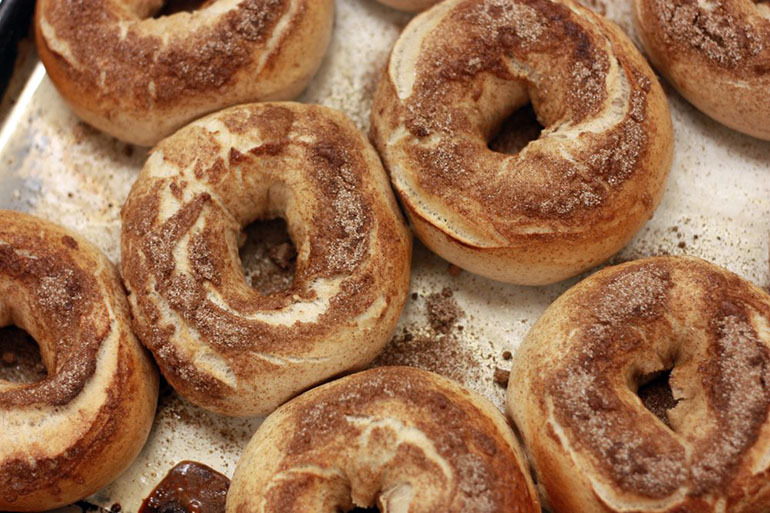 July 26 may not be Christmas, but it is arguably the next best day of the year: Bagelfest. 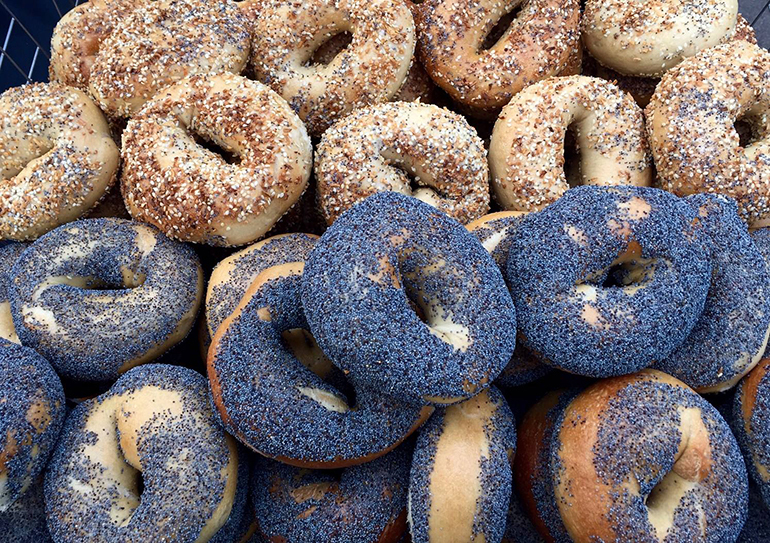 Show your appreciation for these doughy, round godsends by patronizing the best bagel joint in your state. 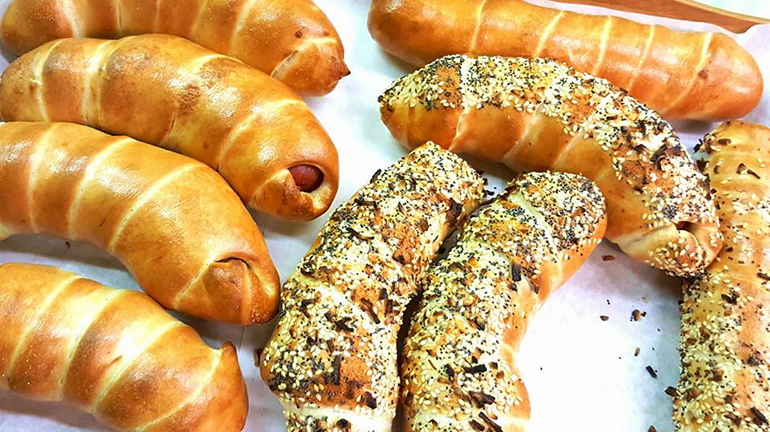 Enjoy your bagel with a side of southern hospitality at Crestline Bagel (which also makes homemade treats for dogs, so you can enjoy with your best friend). Summer might mean corndogs for most of us, but celebrate Bagelfest day Alaska-style at Alaska Bagels with a reindeer bagel dog. 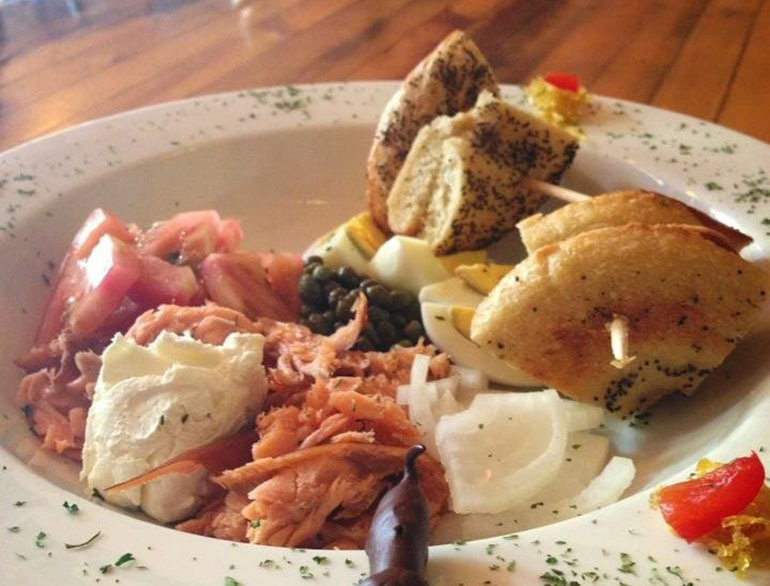 Swap your smoked salmon for tuna at Biff’s Bagels, where the albacore sandwich is to die for. 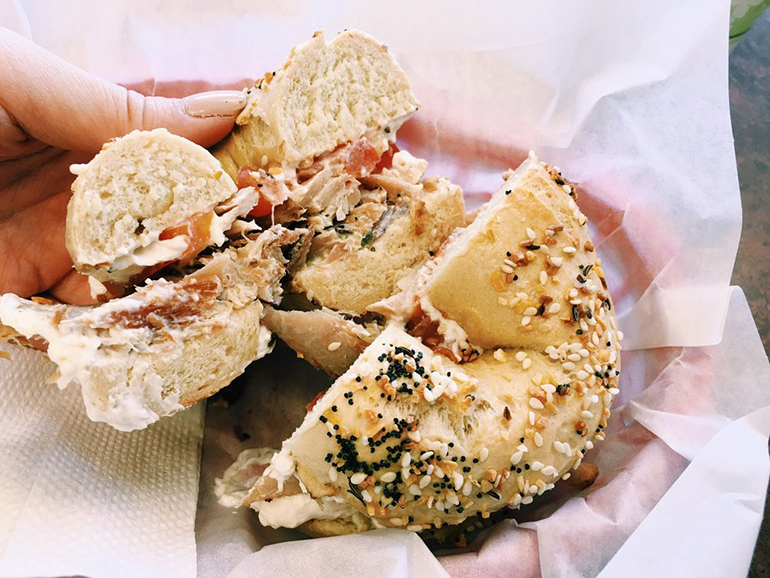 Bring New York to Arkansas to the midwest at Morningside Bagels, whose lox and cream cheese bagel is rumored to be the closest to Russ & Daughters outside of the city. 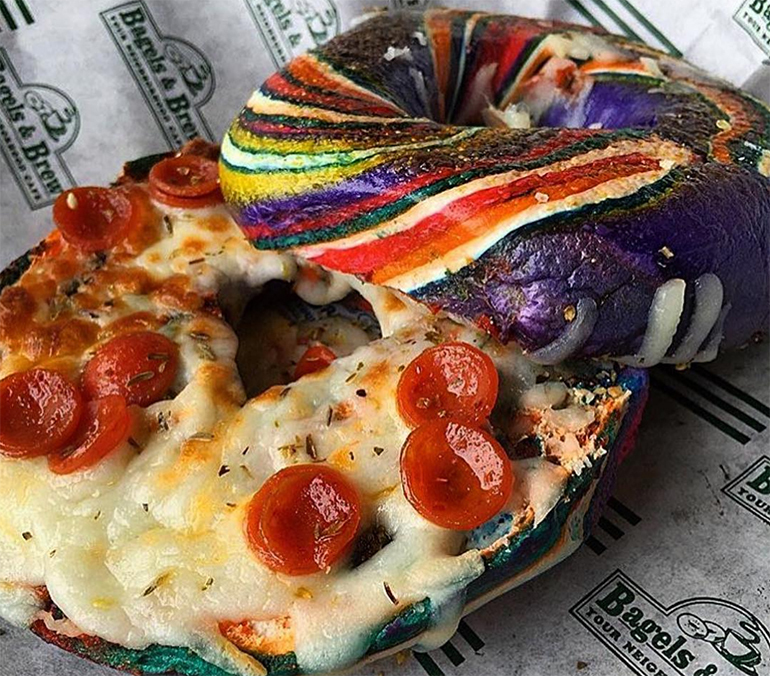 Get trendy at Bagels and Brew with a rainbow pizza bagel. 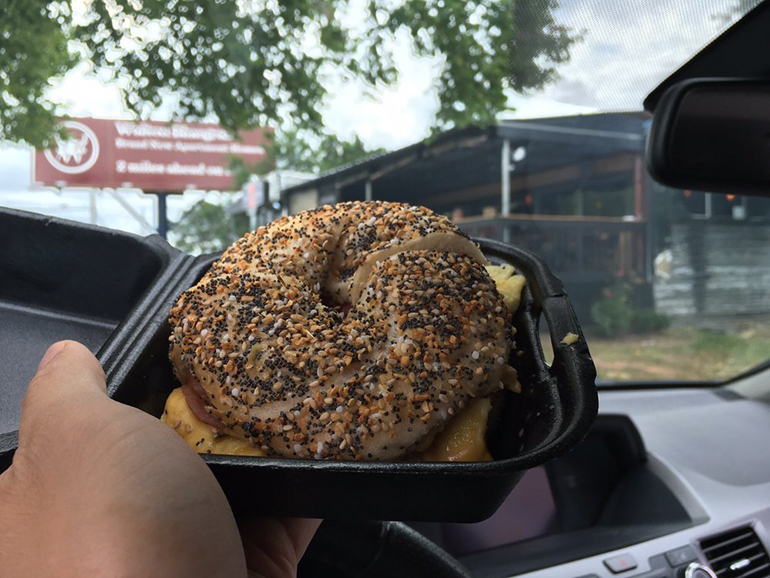 Celebrate Bagelfest at Diners, Drive-Ins, and Dives-recognized spot Colorado Bagel Deli & Restaurant, which is also among the top 26 Jewish delis in America. Fill your soul and your bagel hole at Cohen’s Bagel Company with a mini muffin in the center of your Western sandwich (psst, combine the two with this quiche muffin recipe). 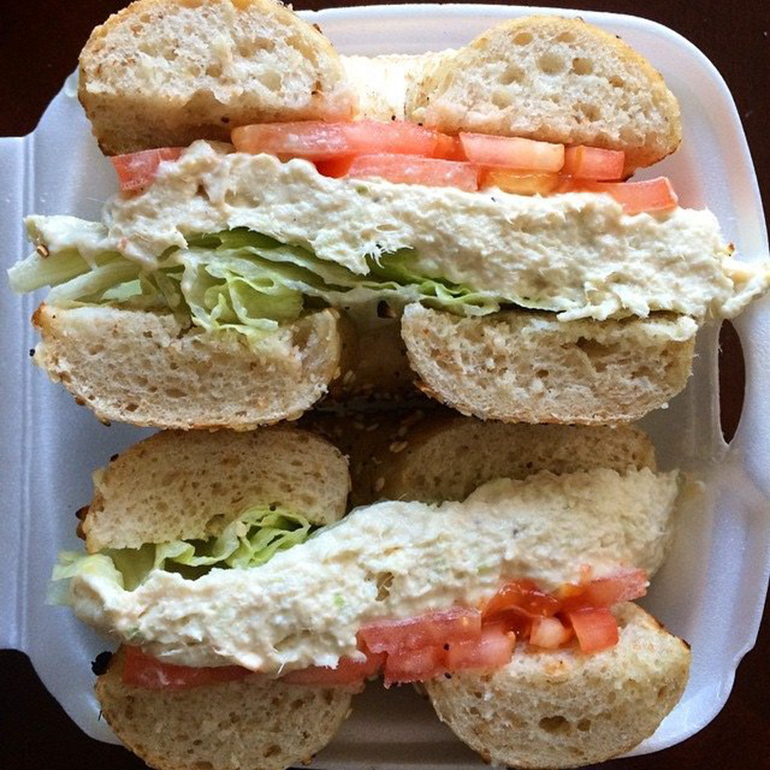 Get a super-stuffed sandwich at Newark Deli and Bagel; we promise you’ll never leave hungry. Enjoy your morning bagel with a side of pho at Bagels & Noodles, a Vietnamese breakfast spot that somehow makes bagels and Asian cuisine work. 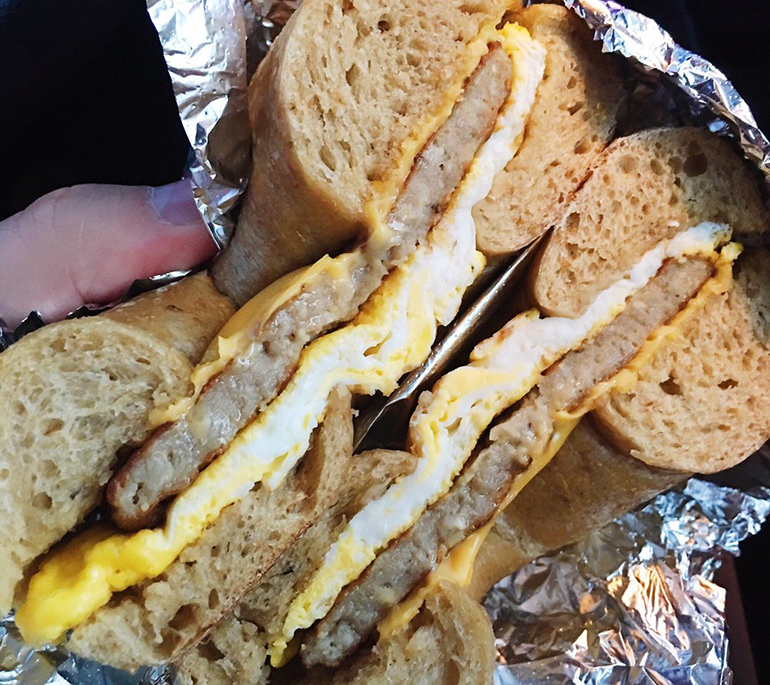 Check out BB’s Bagels for breakfast that’s rumored to rival the best of New York’s – you can even get a pork roll. 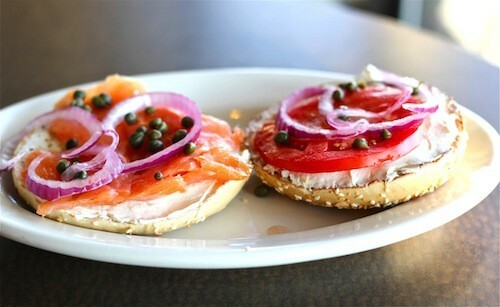 Enjoy the island’s flavors in bagel form at Lox of Bagels with flavors like strawberry-guava or taro. 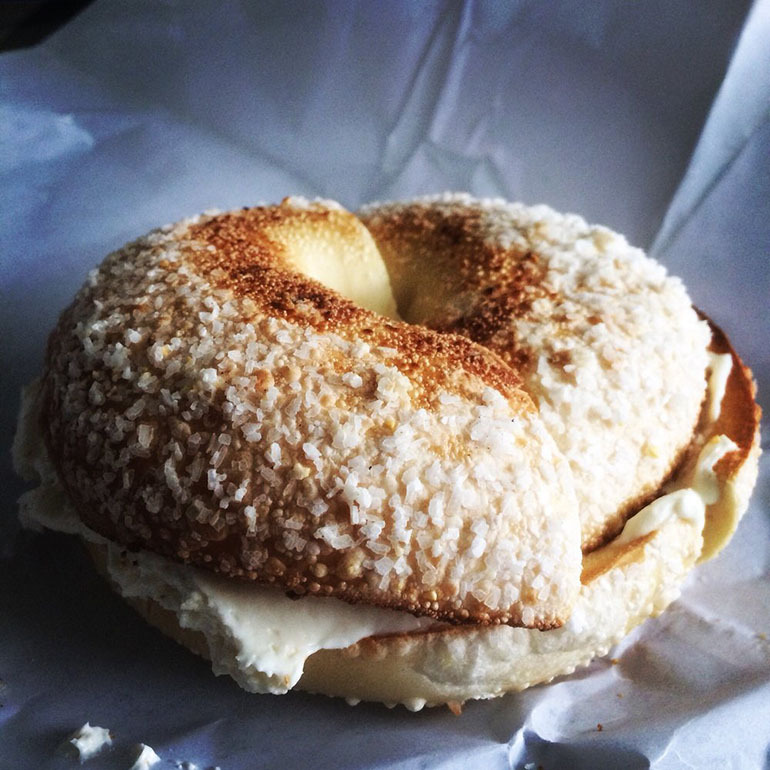 Swap your typical asiago bagel for parmesan at Blue Sky Bagels for a not-so-cheesy twist. 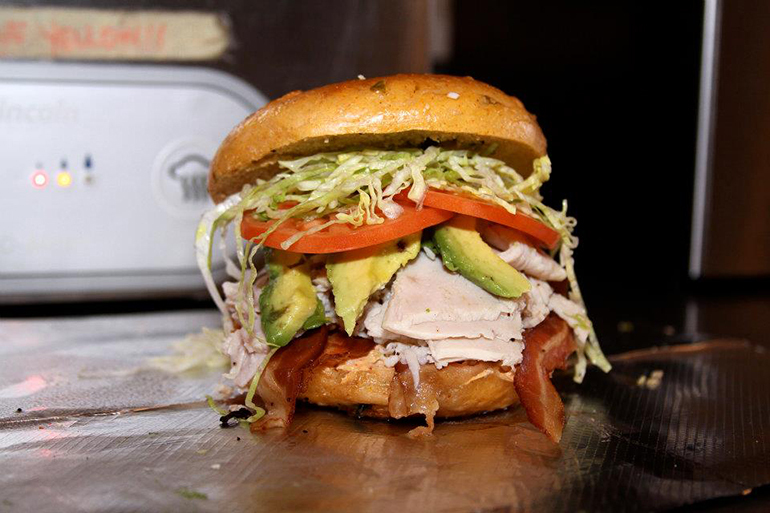 Stop by Barb City Bagels for their simple sandwiches that are anything but basic. 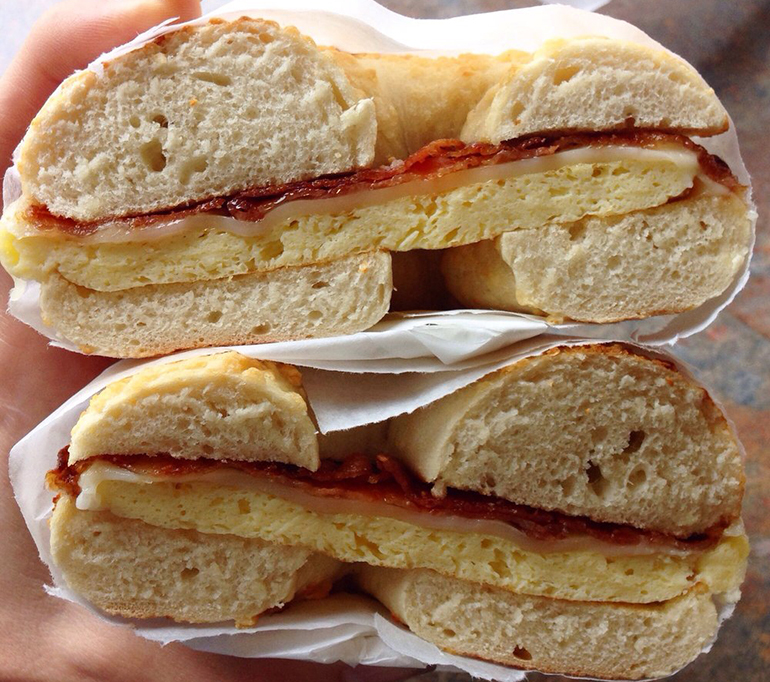 Try out a classic BEC on a Hawaiian bagel. #SpoonTip: Check out these 26 best BECs in the country. 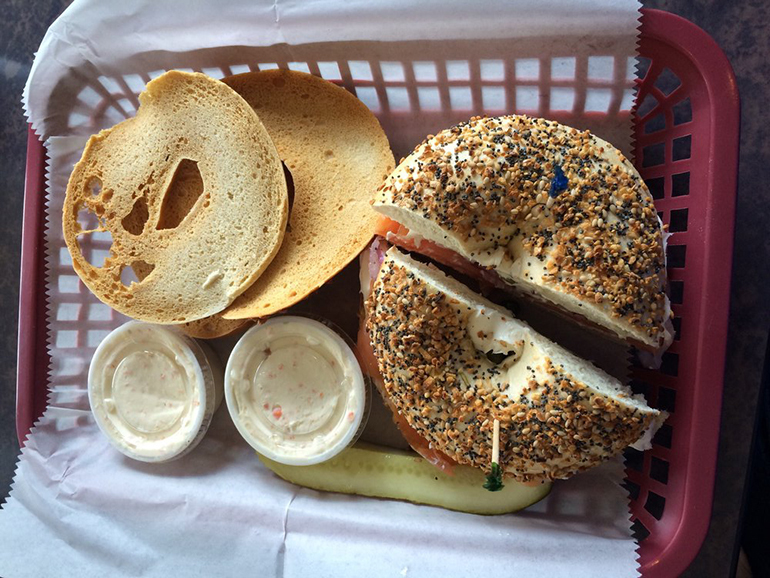 Celebrate Bagelfest and show your #Hoosier pride at the same time at Ripple Bagel & Deli in Indianapolis with the Indy 500 special. 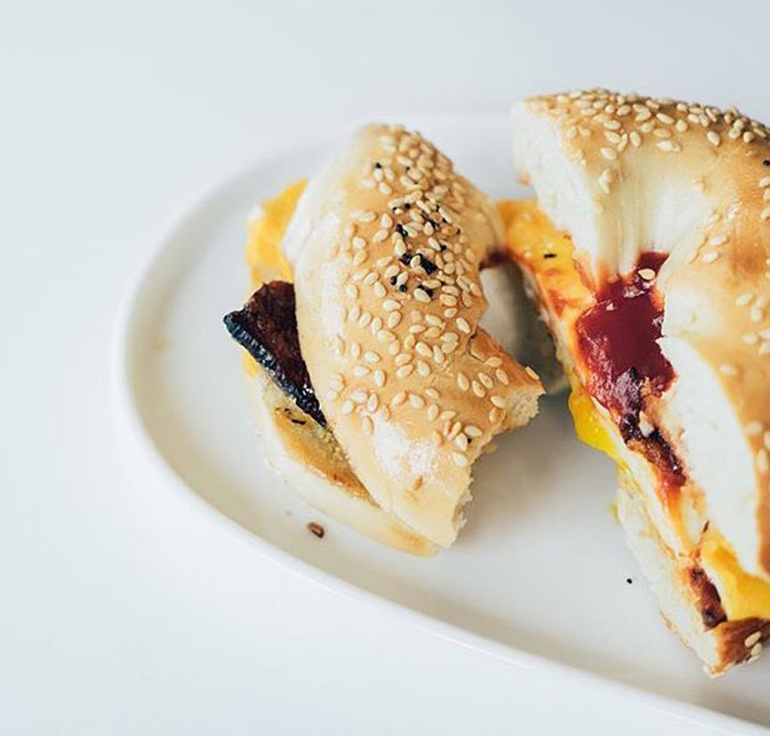 Check out 5 Borough Bagels for a shop that has a cream cheese selection just as impressive as its bagels, from honey walnut to sriracha bacon. Surprisingly, you can’t get a pizza bagel at Pizagel’s, but you can still get a bagel sandwich, pizza, and garlic knots in the same place. 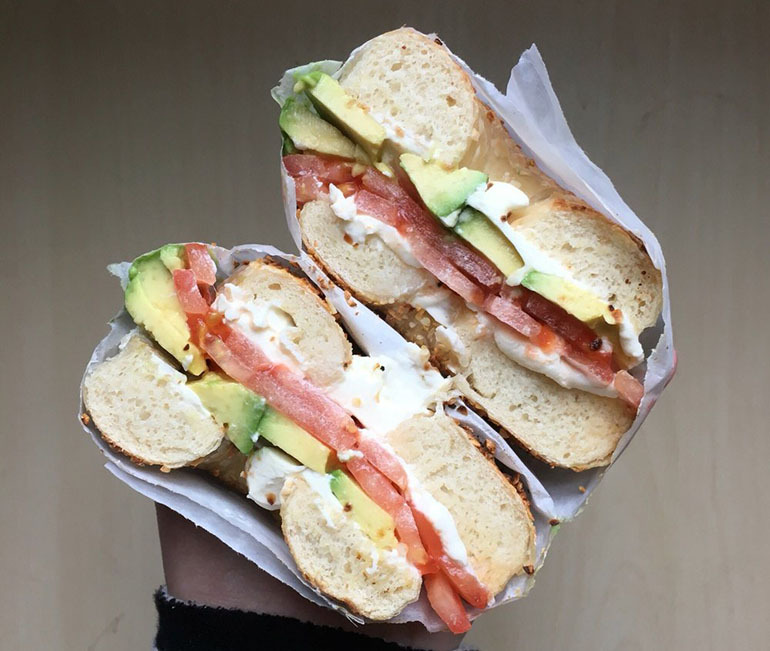 Enjoy your Bagelfest Day without the afternoon bloat at Great Bagel, whose Skinny bagel sandwich won’t leave you feeling left out of the carb-filled fun. 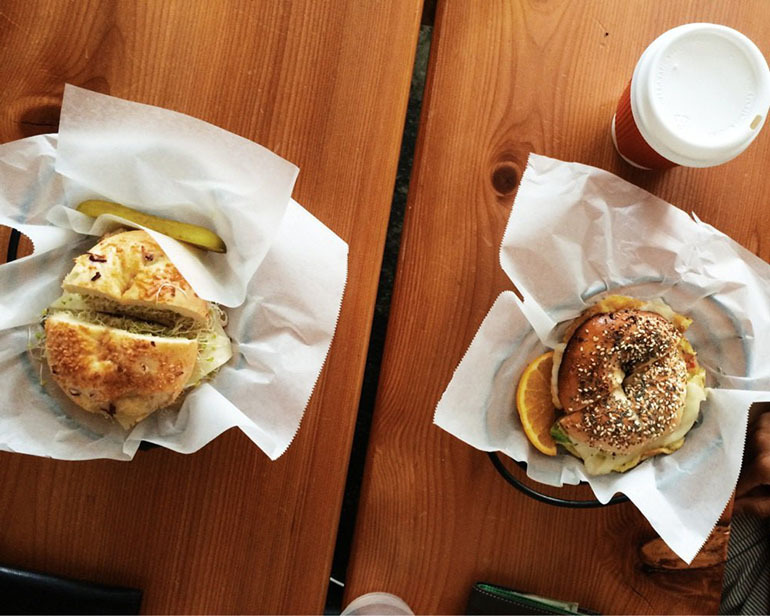 Get 2x the bagel with a side of bagel chips at New York Bagel Company and Café. 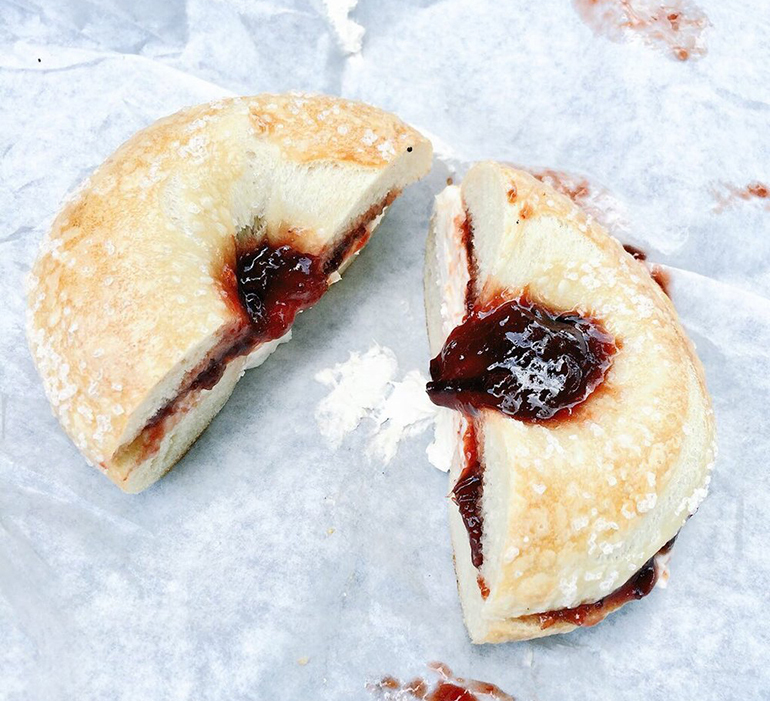 Maine – Union Bagel Co.
Get your in a cool shape, like braids or hearts, at Union Bagel Co.
Swap your plain cream cheese for Bethesda Bagels’s strawberry spread for a fruity twist. 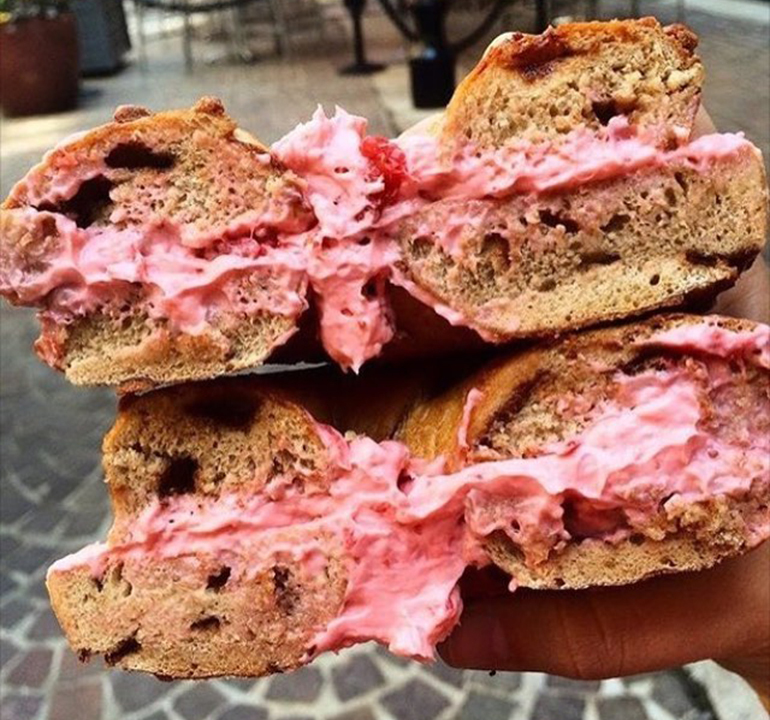 It’s all about the spreads at Bagelsauraus, from almond butter to beet hummus. 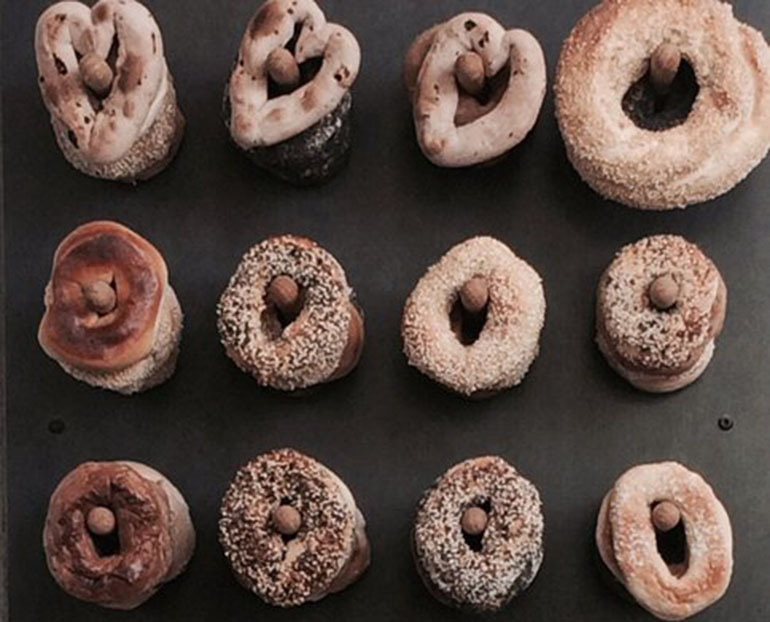 Forget the Institute of Art, the Detroit Institute of Bagels is where it’s at today. 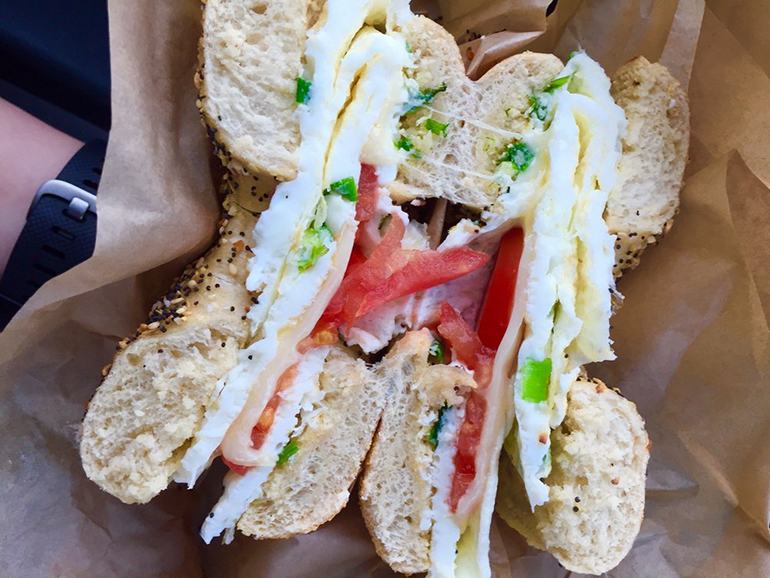 One Yelp review reads: “I actually get angry when it’s bagel day and someone brings them in from anywhere other than DIB.” We think this a safe bet for a great Bagelfest celebration spot. 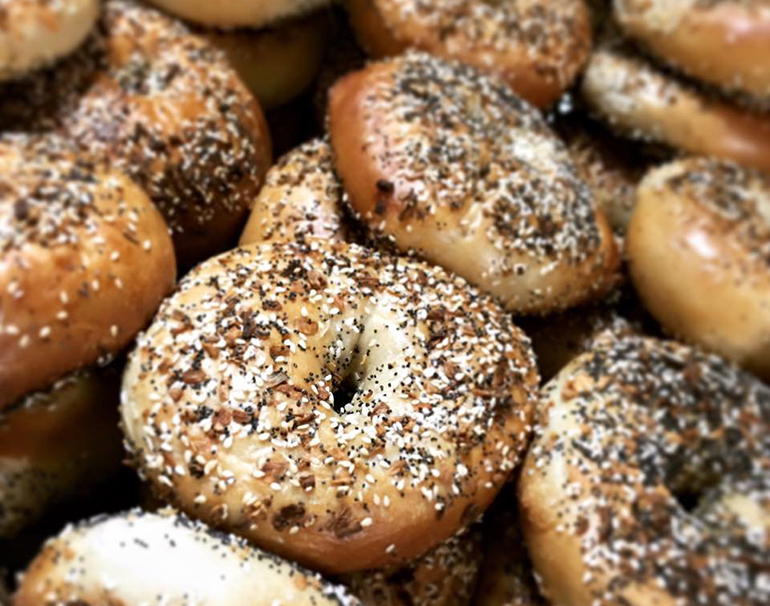 Try out one of those nearly-black bagels from Rise Bagel for the most legit poppyseed experience you’ve ever had. 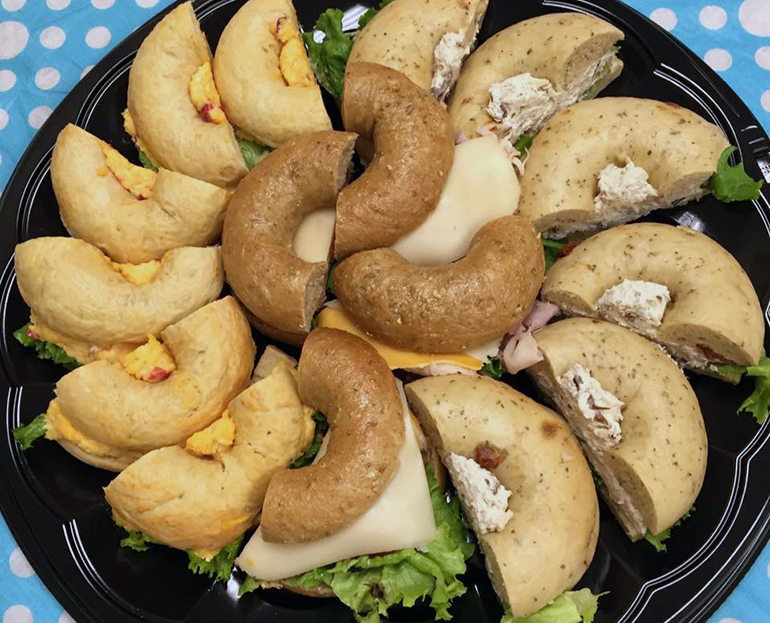 Have Bagelfest brought to you with Beagle Bagel Cafe’s specialty sandwich platters, which let you binge on the good stuff all day long. 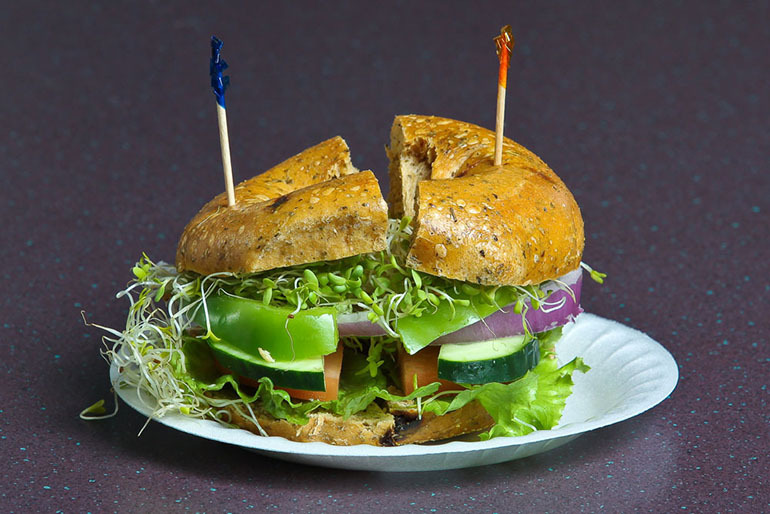 Get the freshest veggie sandwich of any bagel place, possibly ever, at B&B Bagel. 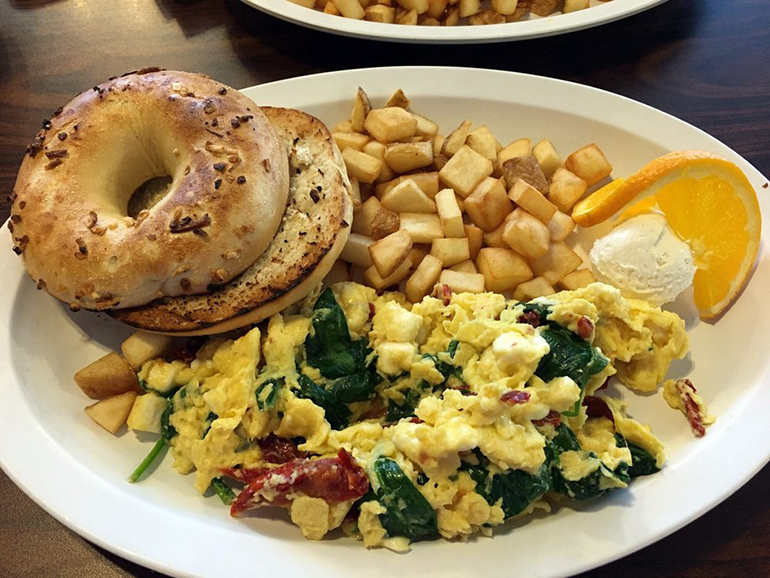 Breakfast bowls are better when bagels are involved – check out Bagels Etc. for proof. 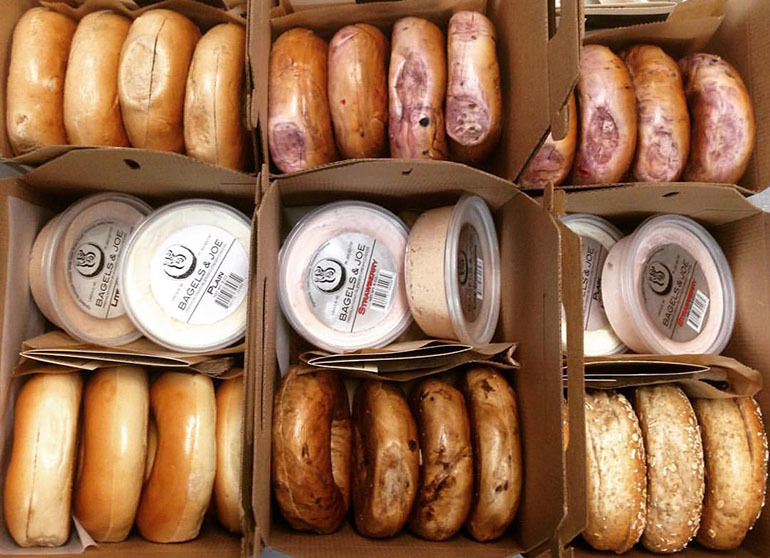 Cater your Bagelfest Day with a box (or six) from Bagels & Joe. 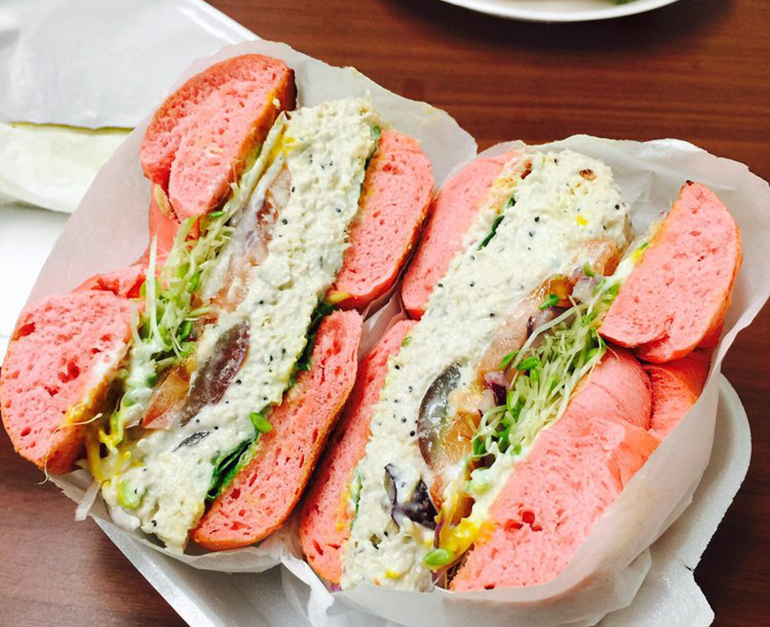 Get with the times at Reno Daily Bagel, whose delicious bagel sandwiches are all newspaper-named. 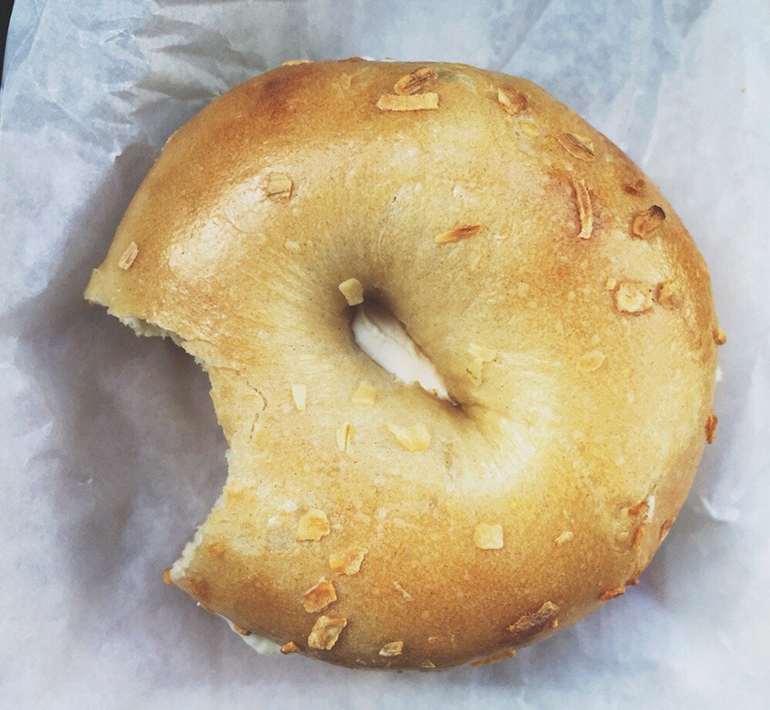 This bagel might be salty AF, but you don’t have to be. 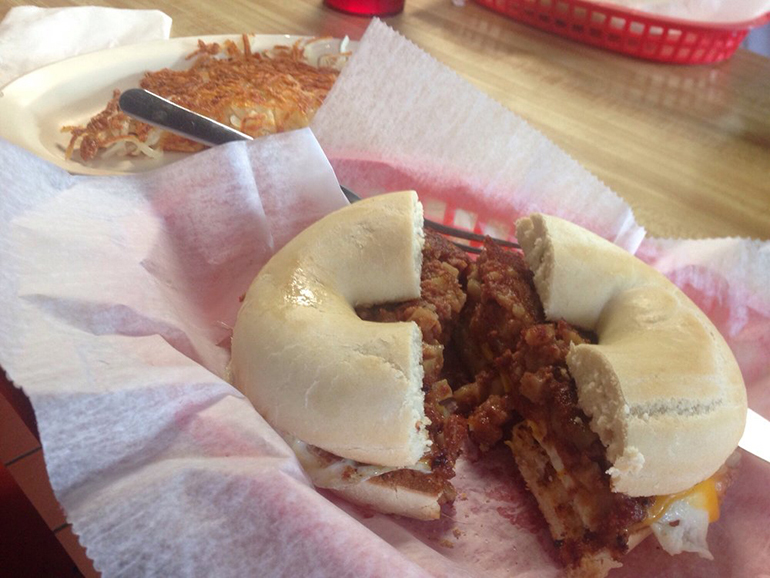 Stop by Bagel Alley to avoid any FOMO on the best holiday of the year. 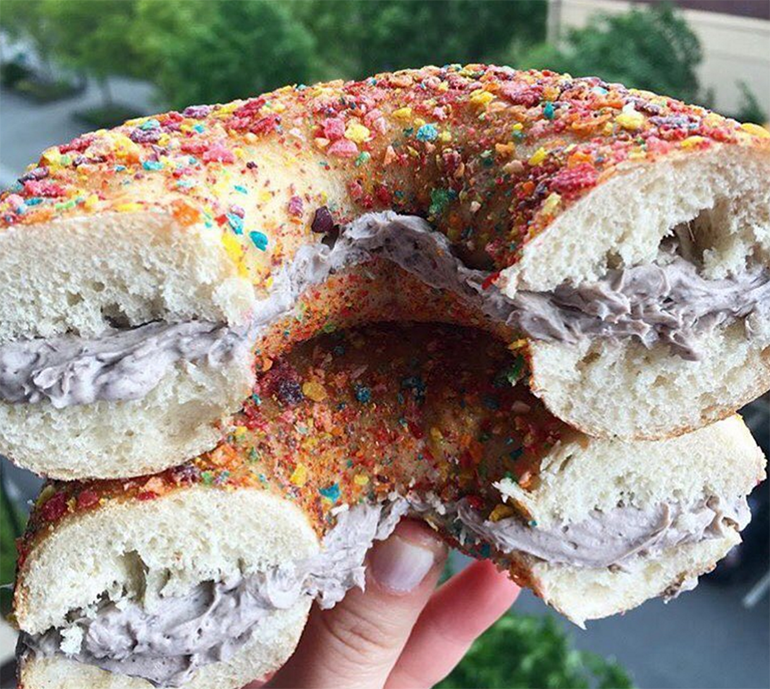 Fruity pebbles bagel x Oreo cream cheese? Sweet. Get it at Bagel Nook. 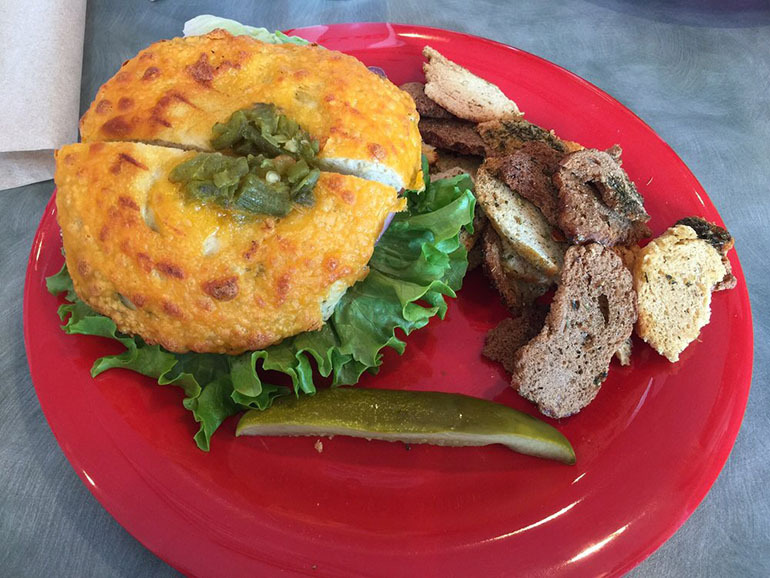 Spice up your day with some green chili at Ruby K’s Bagel Cafe, which you can get as a bagel flavor or on top. 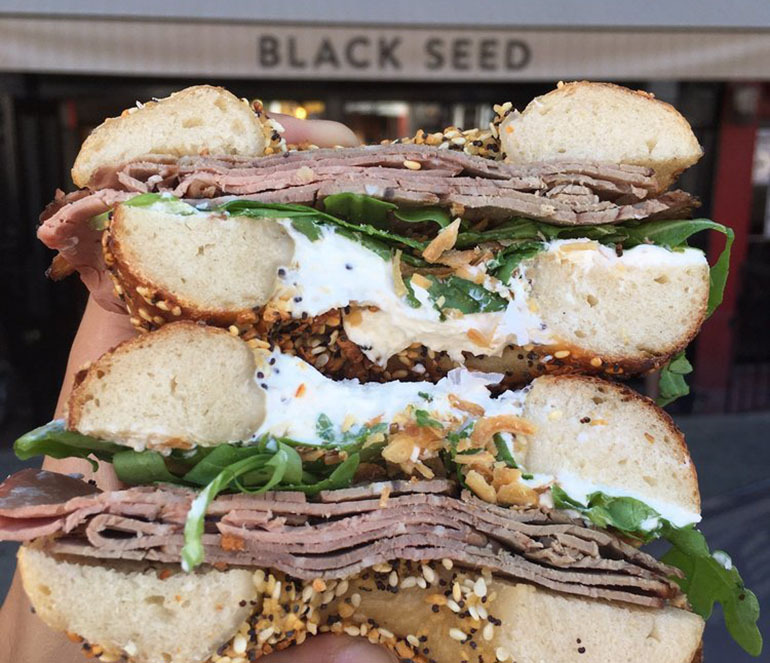 Get a taste of Old Montreal at NYC favorite Black Seed Bagels, whose hand-rolled, wood-fired version is among the top in the city. 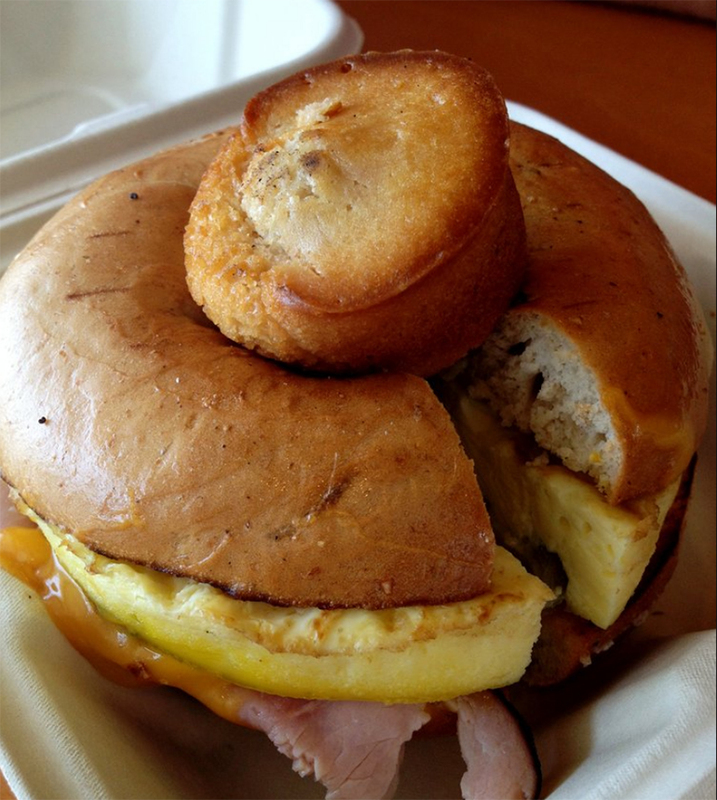 If you want to celebrate Bagelfest but don’t want to skip your eggs in the morning, order the Grubby Bubby at Owen’s Bagel and Deli, which may have an entire dozen between each bagel half. Get a sweet start to the day at B.C. 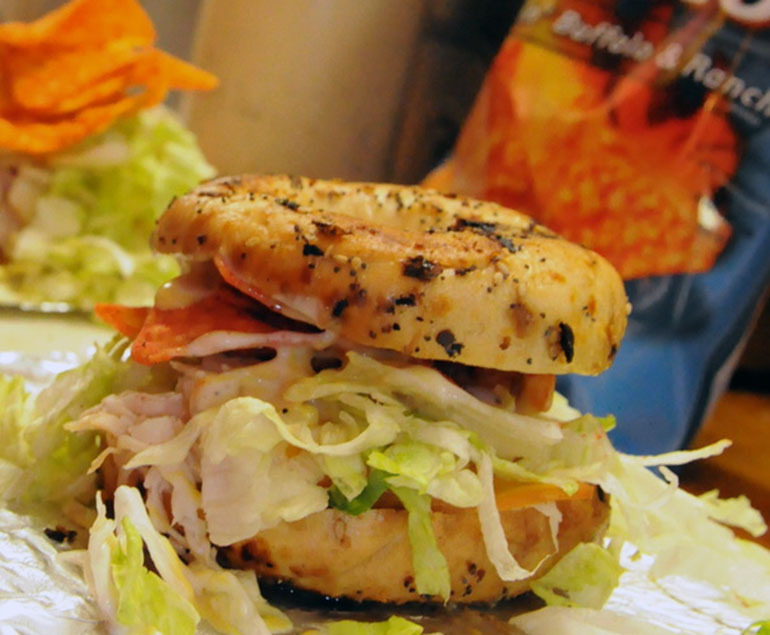 Bagels, whose cinnamon sugar bagels are the sh*t.
If you’re a crunch craver, you’ll love the Crunch and Munch at Bagel and Deli Shop, which is topped off with ranch dressing and Doritos. 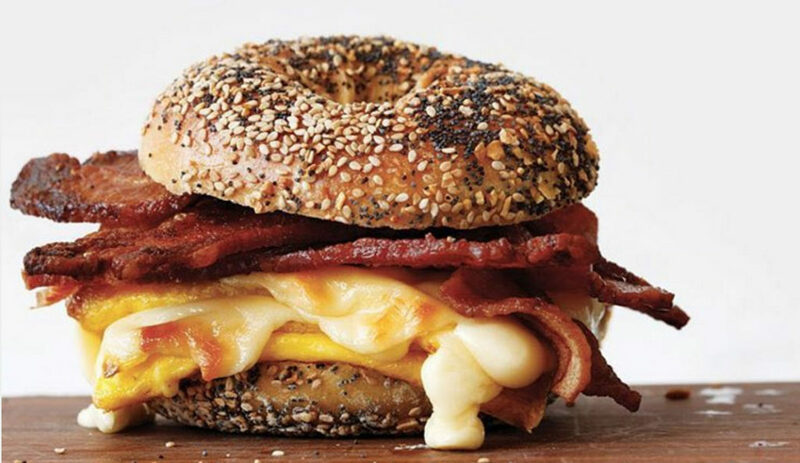 Breakfast sandwiches reign supreme at Old School Bagel Cafe: with thick-cut bacon and gooey cheese, you’ll crave them long into the afternoon. 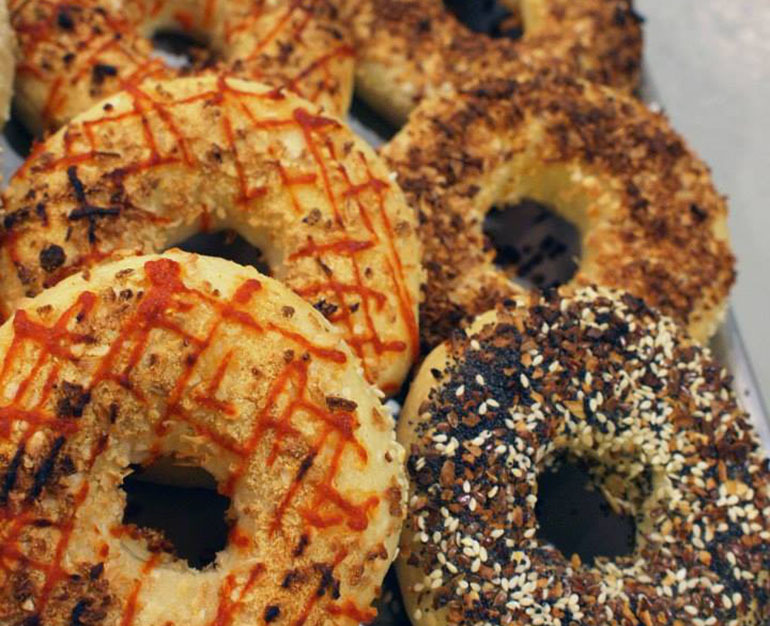 Spice up your Bagelfest Day at Eisenhower Bagel and Deli with the Sriracha bagel. 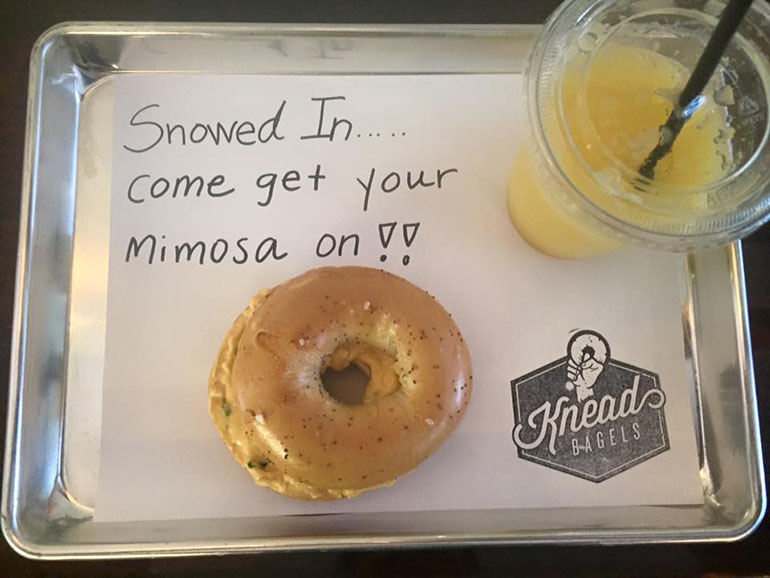 The crew at Knead Bagels clearly know how to have a good time, so be sure to recruit them for your holiday festivities. 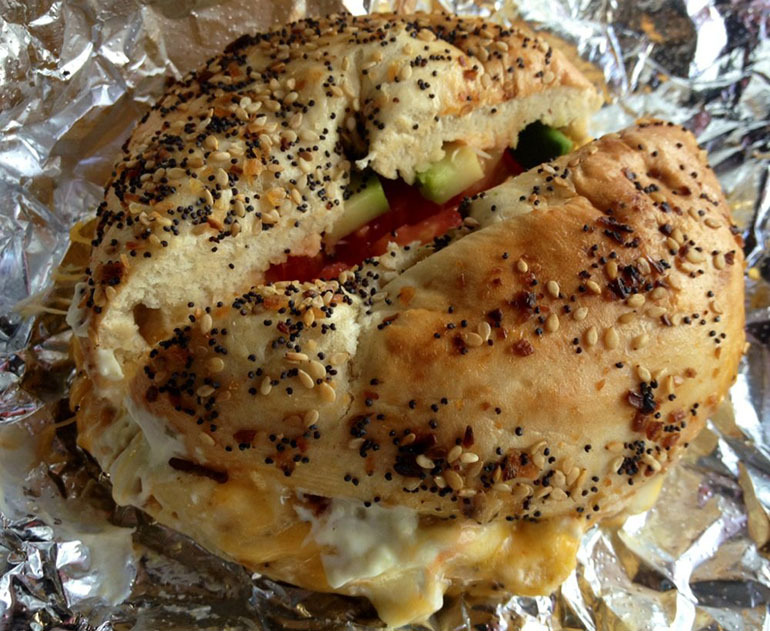 Brown students already chose Bagel Gourmet as their go-to hangover helper. 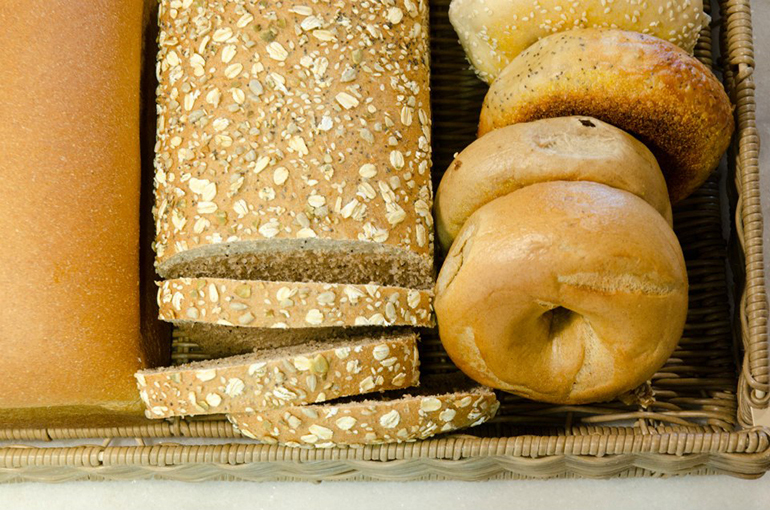 Get ahead of the curve and use the bagels as a solid carb base to pregame the rest of your Bagelfest activities. 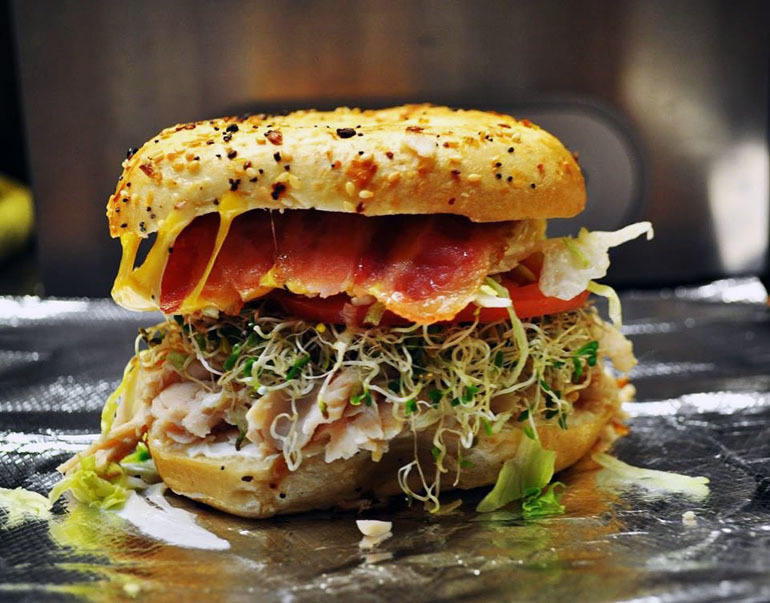 Get a steamed bagel sandwich at Sully’s Steamers. Sound weird? Just try it, you’ll be a believer. 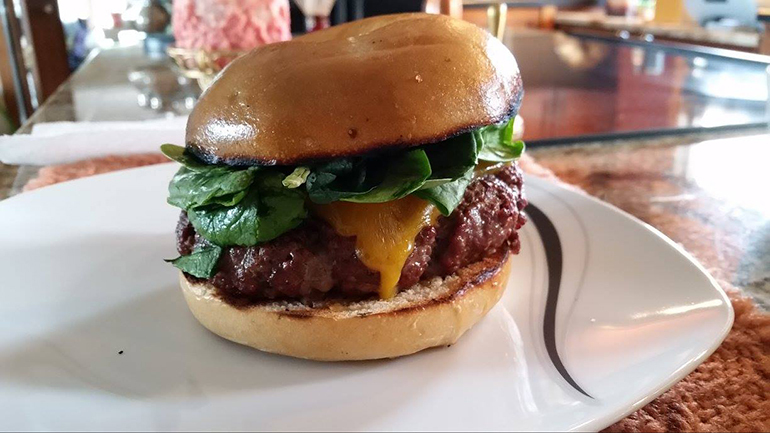 Go all out with a burger bagel at Black Hills Bagels for a sandwich that actually holds up. 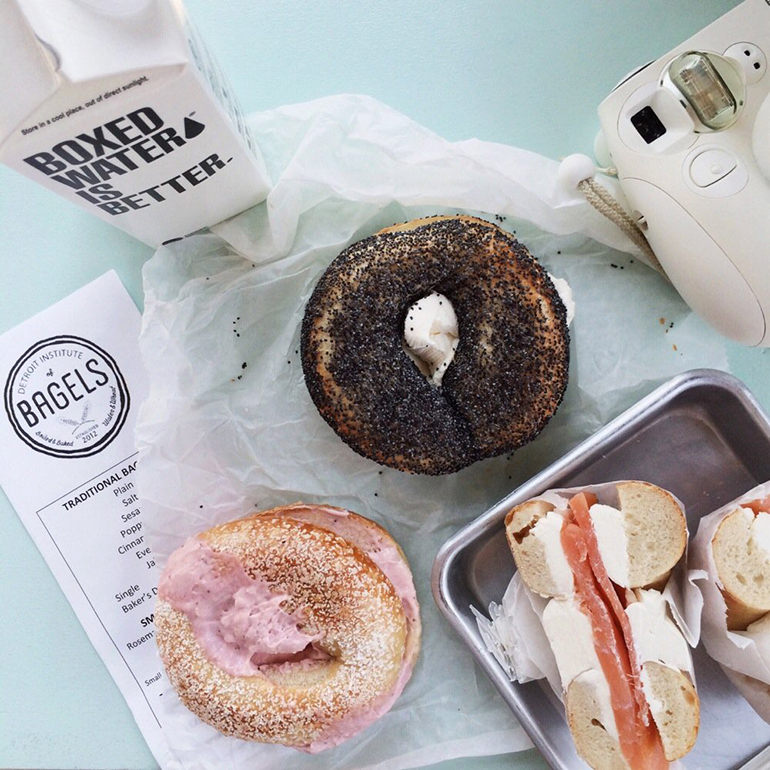 Document your celebrations with an Insta from Proper Bagel, whose cool vibes make sure you’ll get the perfect pic. 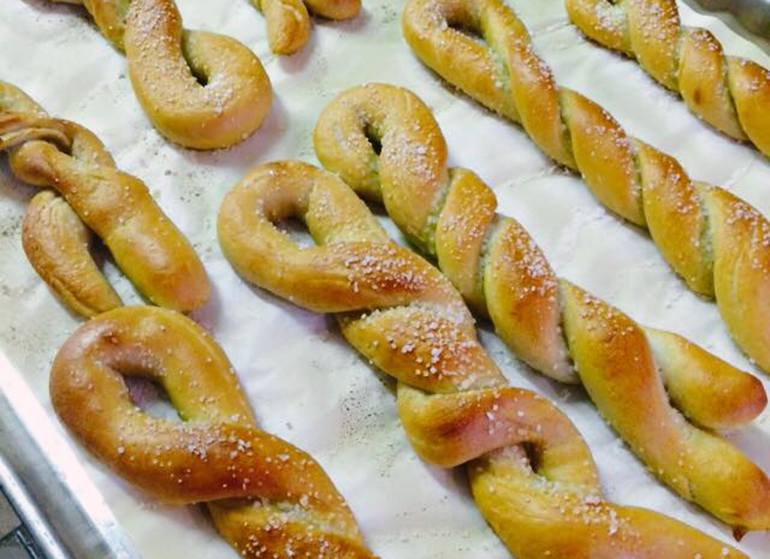 Get baked Austin-style at Wholy Bagel. With bagels, obviously. 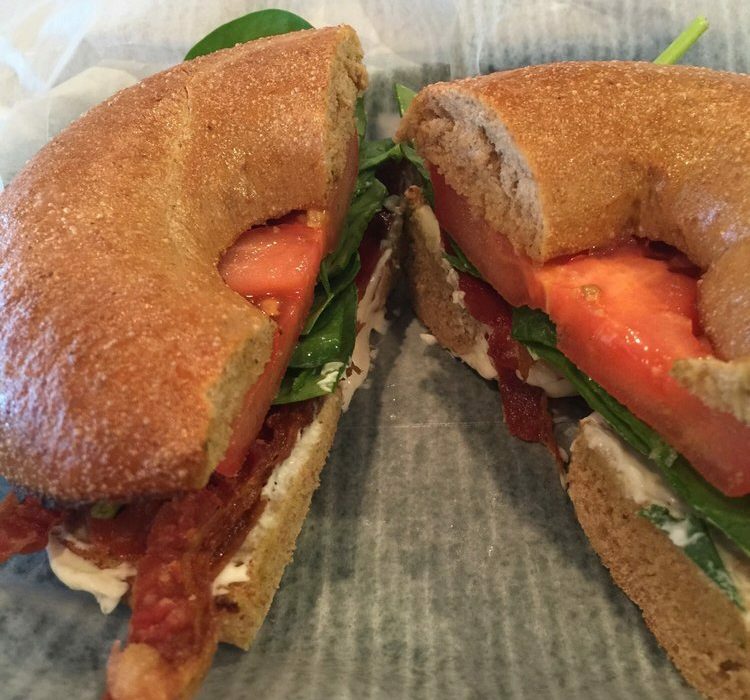 Make sure your day is jam-packed (I’ll see myself out) with deliciousness at The Bagel Project. 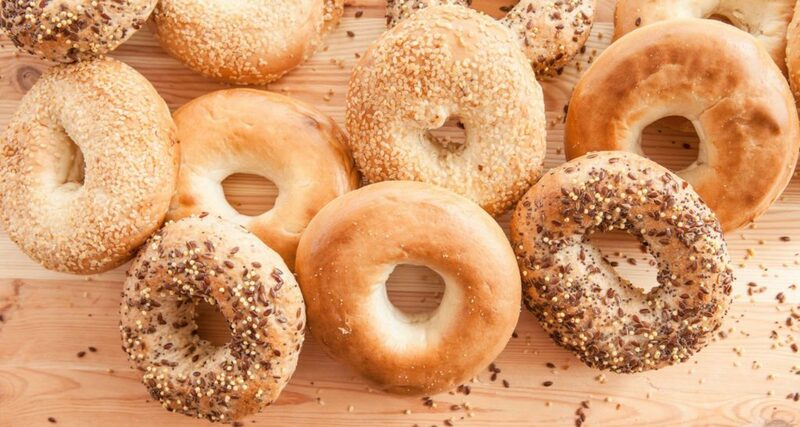 With such close proximity to Canada, there’s no excuse to pass up the opportunity for one of the best Montreal-style bagels inside the U.S at Myer’s Bagels. 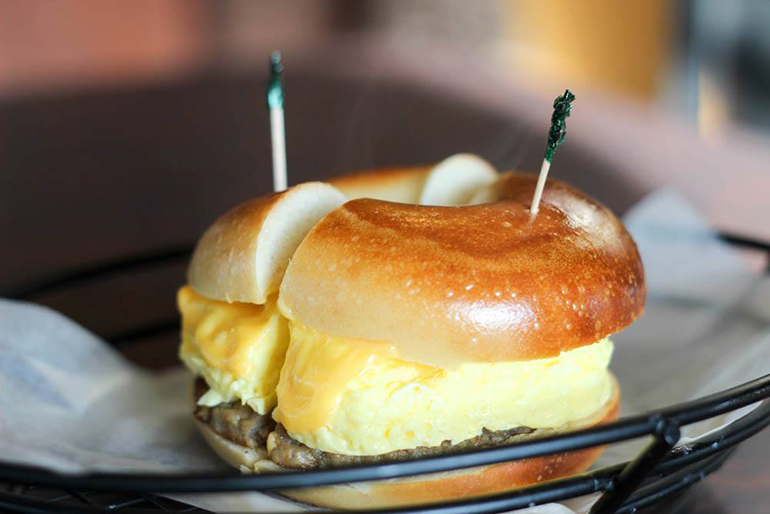 Pretend to be one of the many regulars at VA Bagel and order the classic sausage, egg, and cheese breakfast sandwich. 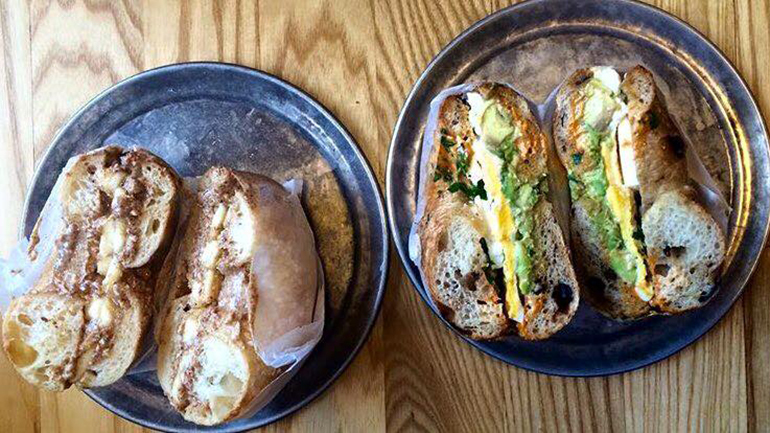 Since the bagels at Eltana are more manageable than the monster sizes most delis serve, you have a legit reason to sample two, three, or ten flavors. 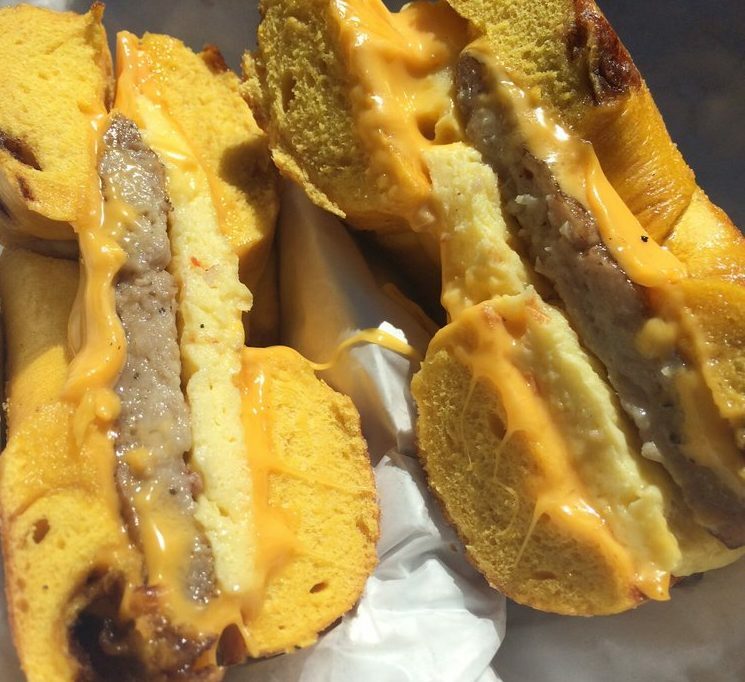 It’s about to get real at Royalicious, where you can get a breakfast mashup of BEC and French Toast in a bagel sandwich. Bagels Forever ships nationwide, so you know it’s the spot to celebrate Bagelfest. 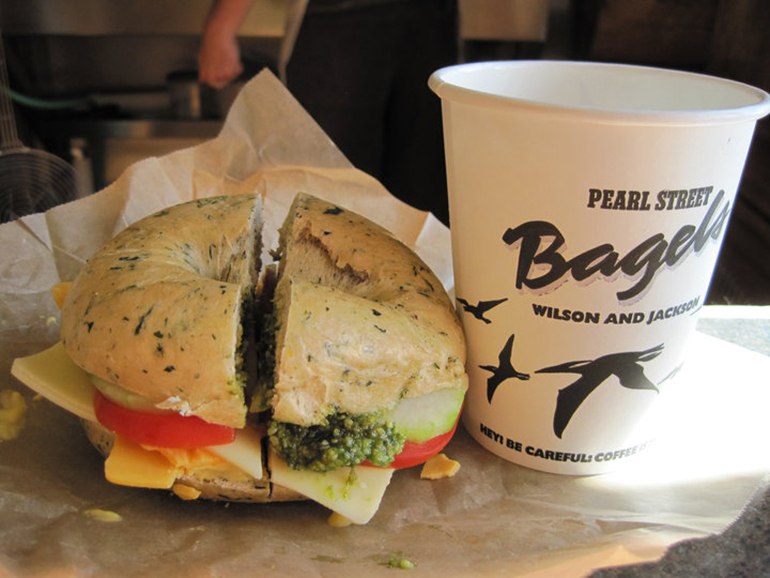 The bagels at Pearl Street Bagels are so fresh out the kitchen, you don’t need a toaster. So they don’t have one.